There’s a great new café just a few minutes’ walk from my Marais apartment, on one of my favorite streets, rue du Pont Louis-Philippe. 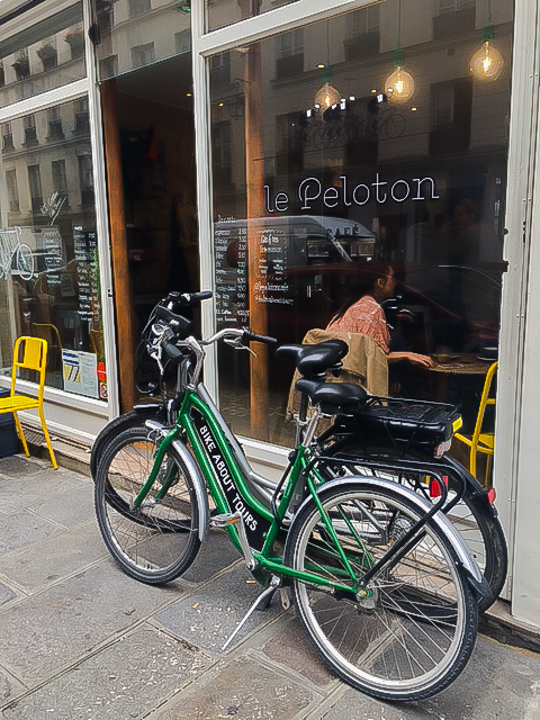 And not only does this café serve the usual coffee and baked goods, the owners also offer bike rentals and bike tours through their company, Bike About Tours. Some of the tours of Paris start right at the café. Bike About offers tours of Versailles and e-bike tours of the Champagne region as well. Click here for more information on the tours or if you’re staying at my apartment, drop by the café–it’s only 350 meters away!